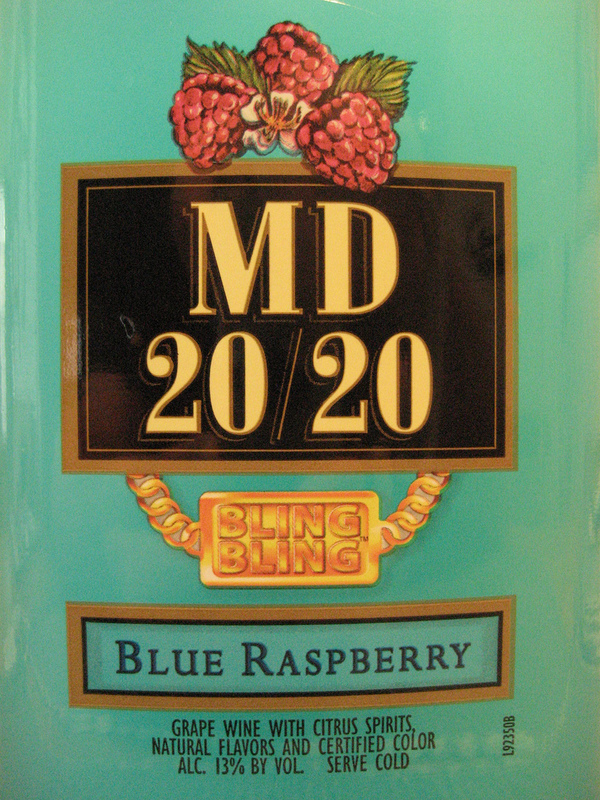 Uglier than a bad palindrome is MD 20/20, aka Mad Dog, the famous bum wine of strange origins. For a drink that’s just a headache in a bottle, MD 20/20 has had amazing staying power. This dog’s been hunting since the 1950s, and shows no signs of being put down anytime soon. Mad Dog’s roots go back to the Mogen David copmany, formerly of Chicago, which first started making kosher wines for religious use in 1947. Mogen David (“shield of David” in Yiddish) imported concord grape juice from upstate New York and turned it into a cheap, super-sweet wine that was palatable to religious people who might never taste alcohol outside of Passover ceremonies. It filled a niche and made the company a nice little profit. Mogen David’s success launched a concord grape mini-boomlet, Pinney writes. E & J Gallo Winery jumped in with a sweet concord called “Gallo-ette,” while Roma Wine Company introduced a knockoff with the strange name of “Jo-Ann.” Even The Welch’s Grape Juice Company, founded by the fanatical teetotaler Thomas Welch, tried to ride the wave and announced plans to start fermenting concord wine. But the Welch project never got off the ground, and the other two copycats quickly flopped in competition with the original. Gallo, rarely outfoxed in the wine business, upped the ante in 1957 with the launch of Thunderbird, another sweet and fruity quasi-wine but with 21% alcohol, far more potent than any kosher stuff. Thunderbird bigfooted the competition, and Mogen David was back to where it started, serving its small niche market. Enter MD 20/20, so-named because it was 20% alcohol and came in 20-ounce bottles. No source that I have found, not even Pinney’s encyclopedically-thorough work, can say exactly when it appeared or how it was received. Mad Dog just showed up. The original labels on the bottles claimed, in ALL CAPS, that it was “THE WINE OF THE CENTURY,” and “The perfect balance of select American grapes!” Evidently enough people liked Mogen David’s new offering to nickname it Mad Dog and to keep the MD 20/20 flowing from the Chicago winery. Mogen David still made its kosher wines alongside Mad Dog, and in 1967 moved from Chicago to New York State to be nearer its source of concord grapes. In 1981 the company was sold to The Wine Group, owner of the Franzia and Cupcake labels among others, and now the second-largest wine seller in the world. The Wine Group continues to make kosher wine under the Mogen David label to this day. And, of course, it still makes Mad Dog — but this dog has learned some new tricks. It now comes in a roster of different flavors, like Coco Loco and Electric Melon, and in a rainbow of colors at varying levels of ABV. “The ultimate wine-based flavored refreshment that Colors Your World,” The Wine Group’s MD 20/20 webpage proclaims. It’s hard to see any self-respecting wino ordering a bottle of Electric Melon, so maybe Mad Dog no longer qualifies as a true bum wine. Still, though it hasn’t been pretty, half-a-century and counting has to be considered a pretty impressive run for this old dog. 13% ?? It was TWENTY when I was younger. Winos and children. this stuff is was and ever will be Puke Patrol fuel. 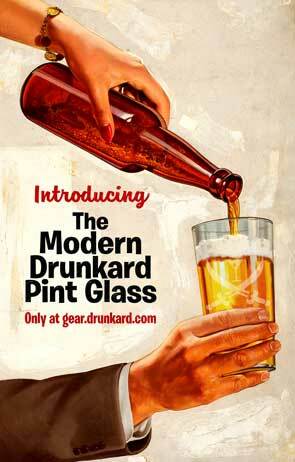 or wino’s that can no longer process any food unless it is in alcohol. 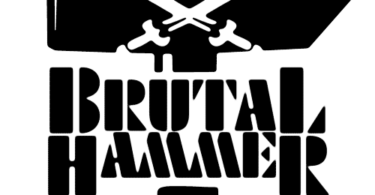 Brigadier, “Take the best, the burn the rest” R F JahnBul RAC ret, mrs.